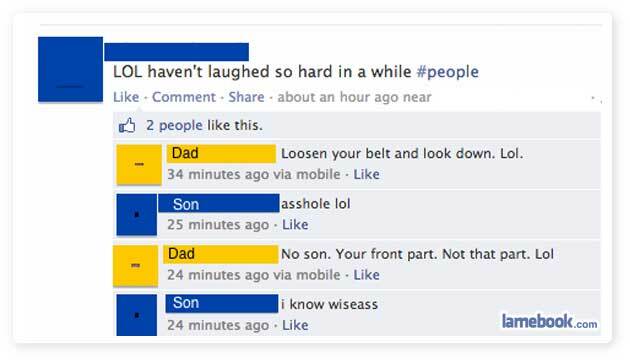 If you loosen your belt and look down it is your fault if your dad rapes you. A glimpse of Steever’s FB page. No wonder he is such a bitter young man. Is Dad trying to seduce him over Facebook? Someone needs a spanking and a timeout. Then juice and a nap.